Welcome to Ziegfeld Ballroom, New York City’s premier special events venue. Conjuring the elegance and grandeur of the 1920s movie palaces that once lined Broadway and Seventh Avenue, Ziegfeld Ballroom is a Manhattan mecca for society galas and corporate events. Our Art Deco-inspired space is as iconic as the historic theatre from which it takes its name: both steeped in heritage and equipped with cutting edge technology, Ziegfeld Ballroom is the intersection of glamorous days-gone-by and of-the-moment modernity. Whether yours will be a sumptuous celebration or a corporate gathering, our expert event management team will collaborate with you to ensure that your occasion is distinctive and unforgettable. From planning and coordinating through execution, our event planners and exclusively-recommended vendors will tailor an event to delight even the most discerning taste, working side by side with you to create the event of your dreams. 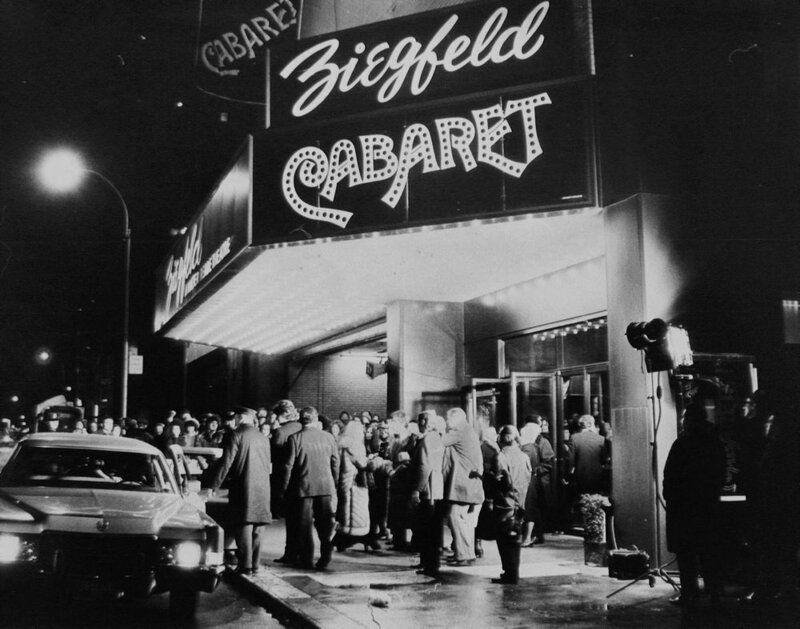 Opening its doors in 1969, The Ziegfeld was constructed as a grand, single screen movie palace just steps away from the original Ziegfeld Theatre—a landmark unto itself—built by Broadway impresario Florenz Ziegfeld, Jr., in 1927. From its opening night until the curtain fell for seemingly the last time in 2016, the theatre hosted more premieres of Hollywood blockbuster films than any other venue outside of Los Angeles. In Fall 2017, the curtain rose once again, this time for a unique second act: as a sophisticated event space inspired by the luxury ocean liners of the 1930s. Designed by prolific architect Richard Bloch with a crisp interior palette of silver and white redolent of its Art Deco heritage, the column-free ballroom can be configured to accommodate over 1,300 guests, and lives on as a premier venue—a place where history continues to be made. "World renowned for the quality of its sound and projection—and for an ornate design that evoked the long-gone ‘20s movie palaces that once lined Broadway and Seventh Avenue—the Ziegfeld was for decades one of the country’s best-known movie venues."